From monthly subscription boxes filled with recipes to natural brands that offer single ingredient products made for mixing, the DIY beauty market is bursting with options. But when Amy Galper created aromatherapy remedies for her shiatsu clients in 2002, she was years ahead of the natural beauty boom in New York City. She launched Buddha Nose, an award-winning brand that was sold worldwide and quickly became the go-to resource for ingredient and formulation information as more natural brands surfaced in the mid-2000s. At the same time, Galper was teaching workshops at various yoga and pilates studios around aromatic medicine and quickly realized that her students wanted to learn more. 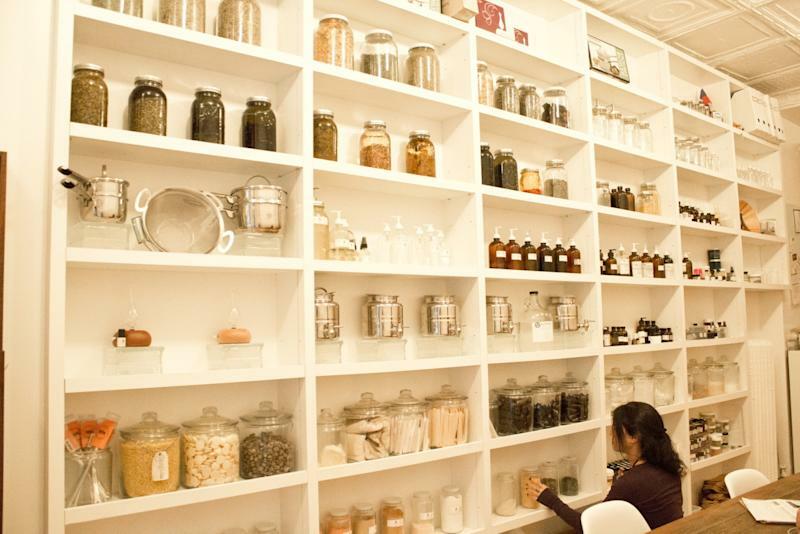 Outside of offering a range of classes and certifications, the NYIOA is also a full-service apothecary. “You can come to our little apothecary and get essential oils, a double boiler, mixing equipment, and tools,” says Galper. “It is a complete on stop shop for do-it-yourself or organic, natural beauty.” It’s unique to find all of these components in one place and it’s ideal for beginners who are looking to buy smaller amounts of ingredients. 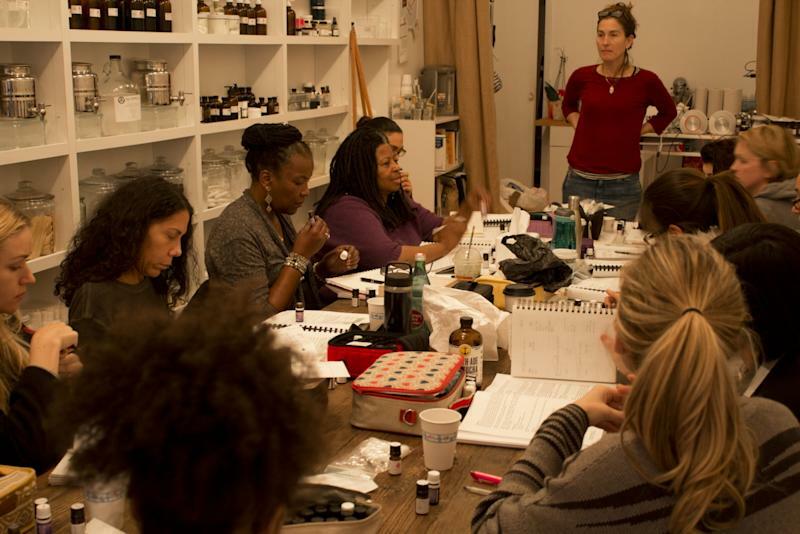 If you’re not quite ready to DIY but want to get a taste of the world of aromatherapy, you can take advantage of the institute’s mentorship program and meet with an advanced student for a consultation and custom blend during weekly “office hours.” There’s a lot more to DIY than sugar scrubs and shopping your kitchen cupboards.